When talking about vehicle tracking companies, the discussion is not complete without mentioning UK Debt Recovery. This is because they have built up their reputation for being one of the companies which provides the best solutions for tracking vehicles. So, if you are ever in need of a company which would provide you with vehicle tracking solutions of the highest grade, you must definitely think of UK Debt Recovery. 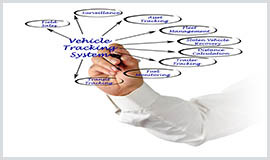 As a company, they have only one aim, and that is to not only offer, but also maintain the most cost effective and advanced vehicle tracking solutions which can be provided in the industry. They place special emphasis on the services that they provide to their customers. This is because this is their main priority. All their products are subject to undergo testing of rigorous conditions. In addition to that, none of their products are released without receiving user feedback which has been found to be quite favorable. According to UK Debt Recovery, a company does not have to be the leader in a particular industry in order to provide their customers with the best vehicle trackers.It is quite possible to become successful by other means as well. And that is just what they aim to do. Instead of focusing more on how to get ahead of their competitors, they shift their efforts on building relationships. After all, the customers are the main ingredients to success. They do just that by building, fostering, and maintaining long-lasting relationships with all their customers. They take out the time to listen to their needs and preferences and then develop their products accordingly. In addition, with the help of constant investments, their range of product also tends to grow. Since their main focus is on listening to their customers very closely, they aim to fulfill all their requests. That is why they have been so successful in meeting every company's needs so perfectly.